We are a multifaceted media company focused on developing and converting diverse intellectual property and brands into filmed entertainment for distribution in all media worldwide. Founded by former New Line Cinema executives Mark Ordesky and Jane Fleming, Court Five is a multifaceted media company focused on developing and converting diverse intellectual property and brands into filmed entertainment for distribution in all media worldwide. As a team Ordesky and Fleming benefit from a close professional history and a unique combination of expertise in motion picture development, production, and distribution—as well as in-depth knowledge of film financing and business management. Growing up together at New Line in the 1990s and early 2000s provided Ordesky and Fleming with a pivotal voice in how New Line vetted and executed its programming opportunities. As Senior VP of business development and strategic planning, Fleming architected New Line’s green-light process, and later teamed with Ordesky in the company’s dynamic acquisitions division and Fine Line Features subsidiary. New Line’s knack for empowering smart young executives in an energetic, transparent, and entrepreneurial corporate culture resulted in a long run of successful, culture-defining films which were the envy of the industry: “Teenage Mutant Ninja Turtles,” Jim Carrey in “The Mask” and “Dumb & Dumber,” the “Austin Powers” and “Rush Hour” franchises, and early milestone films of David Fincher and Paul Thomas Anderson. For their part, Ordesky and Fleming competed for ground breaking independent cinema of all shapes and sizes—from finished films to international co-productions. Their results included the company’s first Best Picture nominee (“Shine”); its firstPalme d’Or at the Cannes Film Festival (Lars von Trier’s “Dancer In The Dark”); Jackie Chan’s break out U.S. hit “Rumble In The Bronx;” and “The Lord Of The Rings” trilogy, for which Ordesky was New Line’s primary advocate. He spent five years in New Zealand as the films’ Executive Producer supervising all elements development, production, and post. 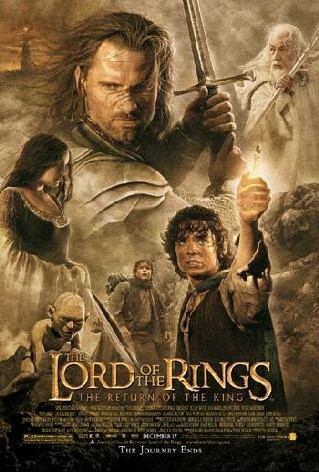 All of “The Lord Of The Rings” films were nominated for Best Picture. “The Return Of The King” won Best Picture, along with ten other Oscars including Best Director. It is the most nominated film in history to win every Oscar for which it was nominated. Collectively, Ordesky and Fleming were responsible for over 60 films while at New Line and Fine Line, collectively grossing nearly $4 billion at the worldwide box office, earning 38 Academy Award nominations with 18 wins. Under the Court Five banner, Ordesky and Fleming have produced three films and one television series. “The Frozen Ground,” which was released by Lionsgate and stars Nic Cage, John Cusack, and Vanessa Hudgens, centers on the true story of Alaska’s most notorious serial killer, Robert C. Hansen, and the principled Alaska state trooper who must earn the trust of Hansen’s only surviving victim to see justice done. Lionsgate also released “EXISTS,” a terrifying “first person” film based on the Bigfoot mythos co-produced with Haxan Films, creators of “The Blair Witch Project.” “Lovely Molly,” also co-produced with Haxan, is in worldwide distribution through Image Entertainment. Court Five's inaugural television series,“The Quest,” was a critically acclaimed hybrid fantasy reality competition TV series, that aired on initially on ABC in July 2014 and now lives on NetFlix. The Company has a large slate of film, television, digital and live-event projects in development and pre-production with some of the best storytellers in the business. Ordesky supports the Anti-Defamation League as an Associate National Commissioner and member of its Entertainment Industry Committee. He is also a board member of the American Cinematheque, a member of the Academy of Motion Picture Arts and Sciences, and a member of the Producers Guild of America. Fleming is a member of the Producers Guild of America and is a two-term former president of Women In Film, Los Angeles. She continues to serve as the organization’s President Emeritus and the Co-Treasurer. In 2009, Ms. Fleming was honored by Girls Incorporated® for furthering the professional lives of women in media and bringing a spirit of innovation to her career.